How many of you have repeated this to yourself as you attempt to maintain a professional demeanor while an angry customer completely unloads on you? How do these situations affect you, your employees’ well-being, and your parking operation’s overall morale? Interactions that routinely occur within the parking industry between customer service employees and clients perpetually create situations of emotional customer service work. Employees are faced with the challenge of meeting the demands of customers, which are sometimes unreasonable. 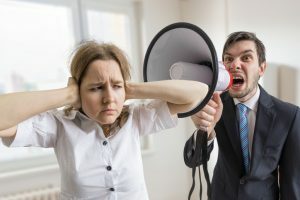 As a former customer care agent who now serves in a management capacity, I have experienced first-hand how repeated exposure to angry customers can negatively affect one’s ability to give their best self to the next customer, along with the negative effect it has on one’s well-being and overall sense of personal satisfaction. During my tenure in the parking industry, I have learned the importance of finding a harmonious balance between customer service work and other more positive and fulfilling work to ensure frontline staff are able to occasionally disconnect from such interactions. Using humor and inter-departmental venting sessions has served as a means for staff to let off steam and the stress of the day. This has ultimately contributed to higher retention rates and staff who feel valued and satisfied within their positions in spite of the difficult interactions faced daily. Teresa Trussell, CAPP, is parking operations supervisor at Ohio University. She will speak on this topic at the 2018 IPI Conference & Expo in June.